Women often fumble for their car keys in their bags that are loaded with tons of other stuff. 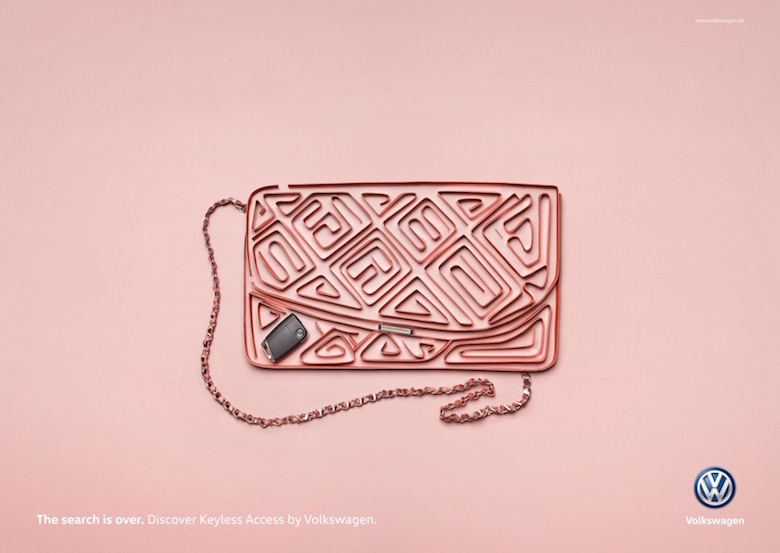 Based on this insight, Volkswagen has released three clever print ads to promote their Keyless Access feature that unlocks the doors and boot of a car when it ‘senses’ the key in your bag or pocket. 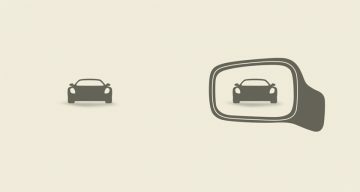 You can also start your car using the push-button ignition without taking your keys out. 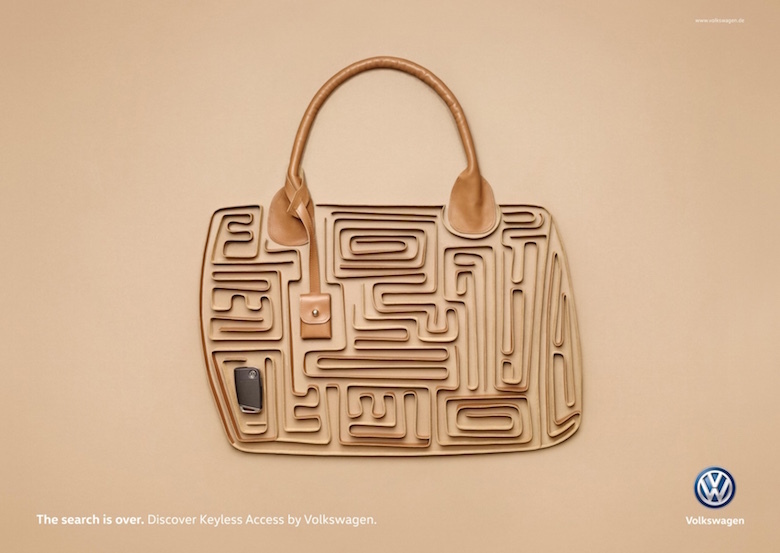 The ads show mazes in the shape of a tote, clutch and bucket bag with a key placed inside them. The tagline reads “The search is over. 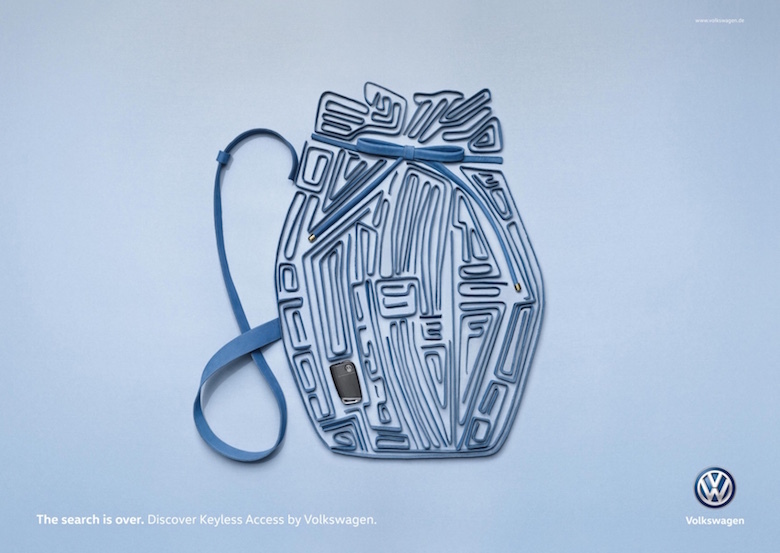 Discover Keyless Access by Volkswagen.” Check them out below. 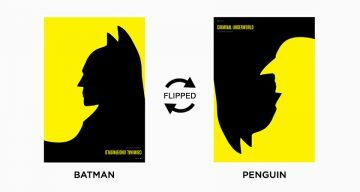 Good insight and art direction. 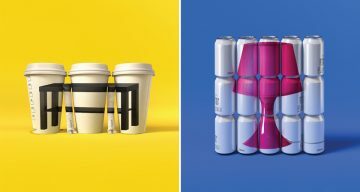 The agency is DDB, Düsseldorf, Germany. 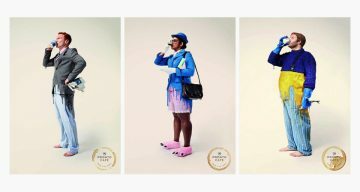 Seen a better campaign in this category recently? Share this post and voice your views in the comments below.